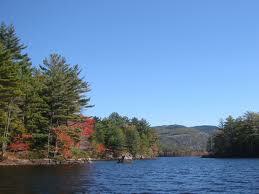 Just a few miles north of Camden, on Highway 1 in Maine’s Midcoast area is the town of Lincolnville. Although it will never rival the name recognition of its more famous neighbor, Lincolnville is within minutes of all of Camden’s attractions while offering quite a few of its own on a road less traveled. The perfect day breaks early with a hike at sunrise on one of 30 trails in the Camden Hills State Park. Seeing the sunrise over the Atlantic is hard to beat. If you prefer a more leisurely start to your day, many of the B&Bs in Lincolnville have ocean-view verandas or private patios where you may sit with your steaming hot coffee or tea while watching the dawn break. With small farms abundant in the area, Lincolnville relied on locally sourced products long before it became a trend. Driving to a nearby farm to pick-up fresh eggs, cheese, vegetables or berries (or lobsters for that matter) is just the way it’s always been done around here. 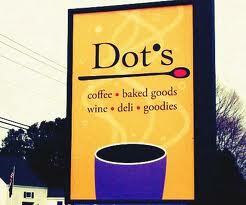 Which is to say that anywhere you have breakfast, whether the famous breakfast sandwich at Dot’s on Highway 1, or a bountiful two or three course breakfast at a B&B, you can be sure it will be fresh and delicious. No visit to the Midcoast is complete without a sail on the Bay. Try a 10:30 a.m. or later departure with one of several different companies offering two-hour sails from Camden Harbor. I enjoy sailing with Captain Jack Moore and his wife Barbara on their historic schooner, Surprise. If you are lucky enough to be in the area on June 21, the Summer Solstice, you can take a sail on island-studded Penobscot Bay on the Schooner Olad which leaves from Camden Harbor at 4:15 a.m. Captain Aaron Lincoln and his crew will take you on a two-hour sunrise sail on a restored classic yacht. After your sail, get your “land-legs” back with a stroll along the harbor and the shopping streets of Camden. One of my favorite shops is Glendarragh Lavender. The moment you walk into the shop at 22 Main St. you are enchanted by this herb. Proprietor Lorie and her husband started a 26 acre lavender farm several years ago and the shop offers hundreds of items made from their lavender harvest. Handcrafted gifts including Lincolnville’s Swan’s Island Blankets are also available. From Camden, drive four miles north on Highway 1 to Lincolnville Beach where you will find one street of delightful shops directly across from the beach and the Islesboro ferry terminal. Regina Pierson’s Beach Inspirations carries unique gifts and clothing inspired by the sea including Claire Murray rugs. By mid afternoon, you’re ready for a break so take a short drive to Cellar Door Winery on Youngtown Road in Lincolnville. 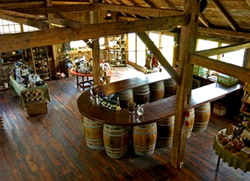 In a restored 1790’s post and beam barn, the folks at Cellar Door will treat you to a complimentary wine tasting of their locally produced wines. You’ll be snapping your camera as the tasting room overlooks the picturesque vineyards. Pick-up sandwich or salad to go, drive a mile or two down the road and in a few minutes you are at beautiful Lake Megunticook. Swim either at the public beach at Barrett’s Cove or ask your innkeeper for directions to a “locals” swimming hole where you can take a midday nap on the rocks, or swim in the crystal clear waters. For a special dinner, join 18 other lucky guests at Lincolnville’s Salt Water Farm. Opened two years ago by NY chef Annemarie Ahearn, Salt Water Farm is situated on 17 stunning acres overlooking Penobscot Bay. You will be served a fixed-price five-course meal imaginatively prepared from local ingredients. In addition to occasional dinners, the Farm offers cooking classes and gardening lessons. You must plan in advance to catch one of Annemarie’s dinners, but it is well worth the extra effort. 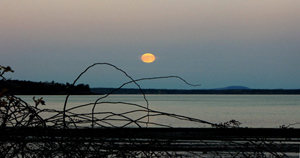 Before you retire, watch the moonrise over the Bay at Lincolnville Beach, the perfect way to end the day.